I’ve written before about my efforts to feed our little family wholesome, healthy food. 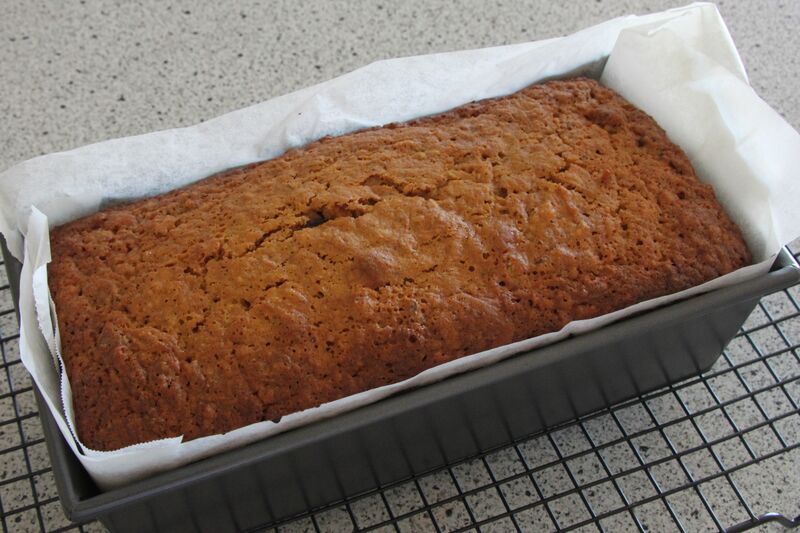 When I saw my friend Zoe had posted an interpretation of Happyolk’s Beet, Seed and Blood Orange Cake on her blog, Rub a Dub Dub, I resolved to try it out. 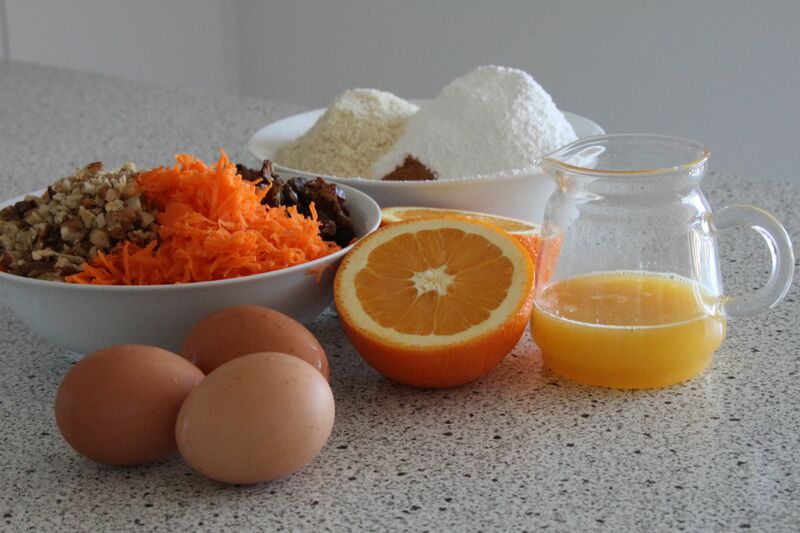 Zoe’s Carrot, Walnut and Orange Breakfast Cake has a lot going for it – carrots, dates and nuts for starters. I followed the recipe, although I will admit to eyeballing my quantities of carrot and walnuts. I always figure close enough is near enough with these types of components – I do measure dry and wet ingredients. 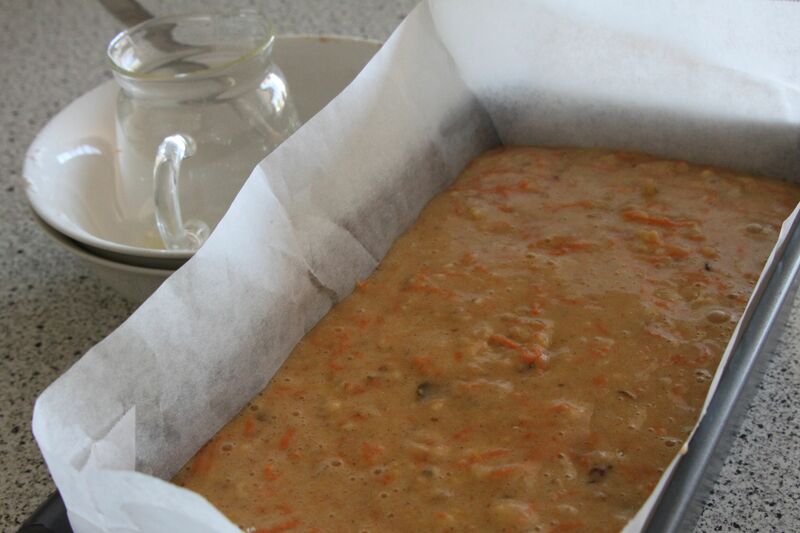 I’m not sure whether it was my unpredictable oven, the fact I eyeballed the carrot, the gluten free flour I use, or if my oranges were particularly juicy, but the cake took an extra 20 minutes to bake. By the time I got around to cutting a slice, I thought to myself that I should rename this gorgeous cake ‘lunch cake’. I had to take plenty of Hugo-cuddle breaks during its making! I will happily report that the cake is delicious. Quite subtly sweet and beautifully soft. I’ll be printing out the recipe – it’s a keeper! 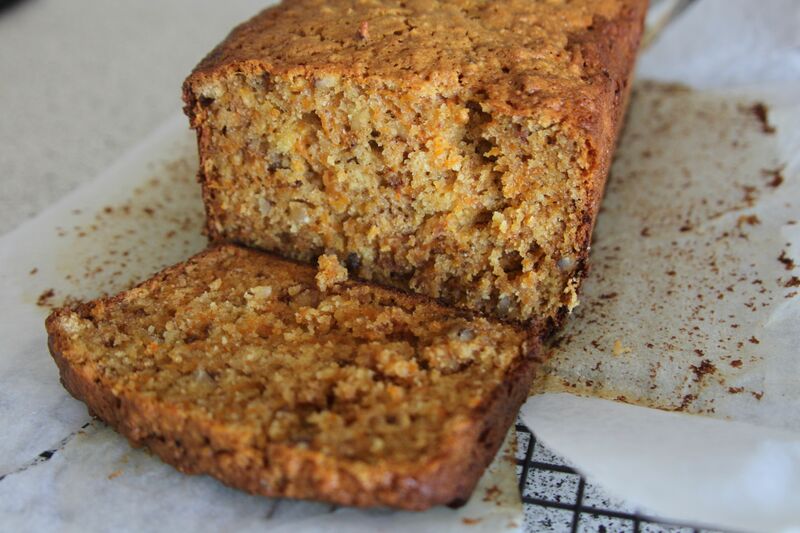 This entry was posted in baking, dairy-free, food for kids, gluten-free, sweet. Bookmark the permalink. Thanks for passing these recipes on Ruth, I made them both on the weekend and now have lots of frozen slices for snack emergencies. I couldn’t find any brown rice syrup though.